VARC section can be a nightmare for some. 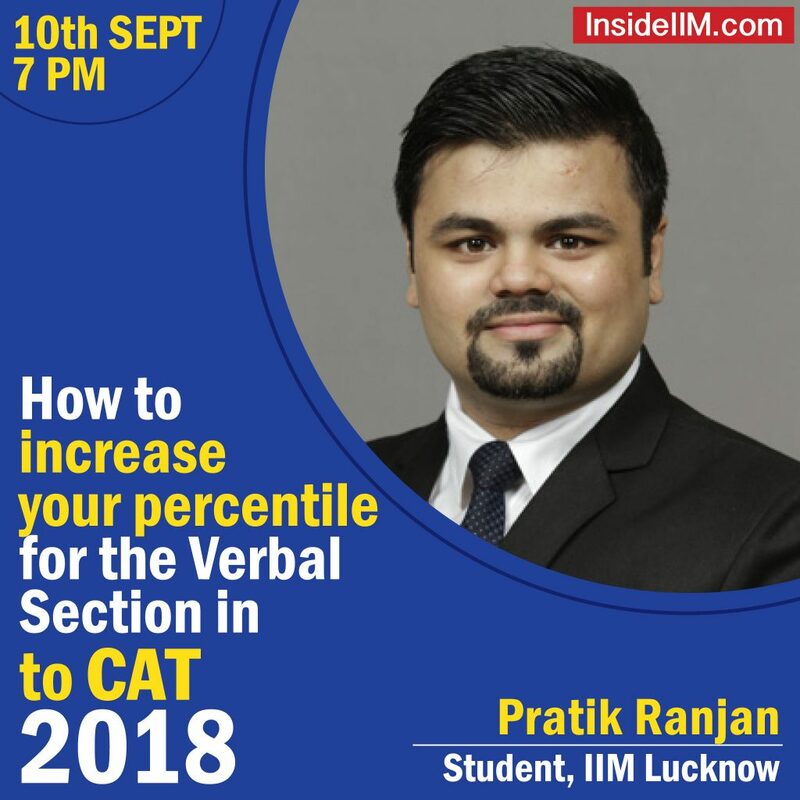 To help you score better in this section, we have an IIM Lucknow student, Pratik Ranjan, to guide you to score better for CAT 2018. In his first attempt, Pratik scored 70%ile in the VARC section. However, in his second attempt, he was able to turn things around for himself and score the perfect 99%ile. Want to know how he managed to do so? Ask him today at 7 pm in the LIVE webinar. If you can’t access the webinar, click here. For the lengthier RC s, how to keep a note of things mentioned in each n every paragraphs?